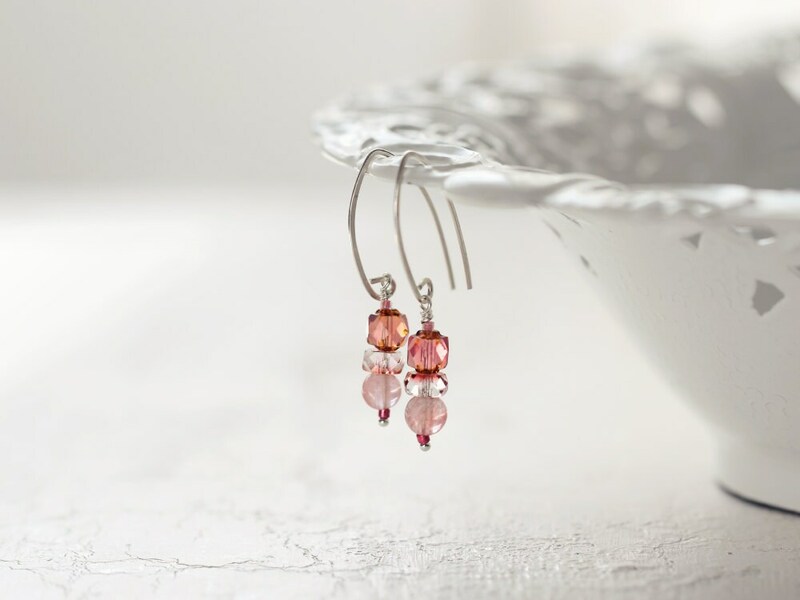 These dainty Summer earrings, with their luminous colours and sparkling textures, will have you looking gorgeous and glowing in no time! 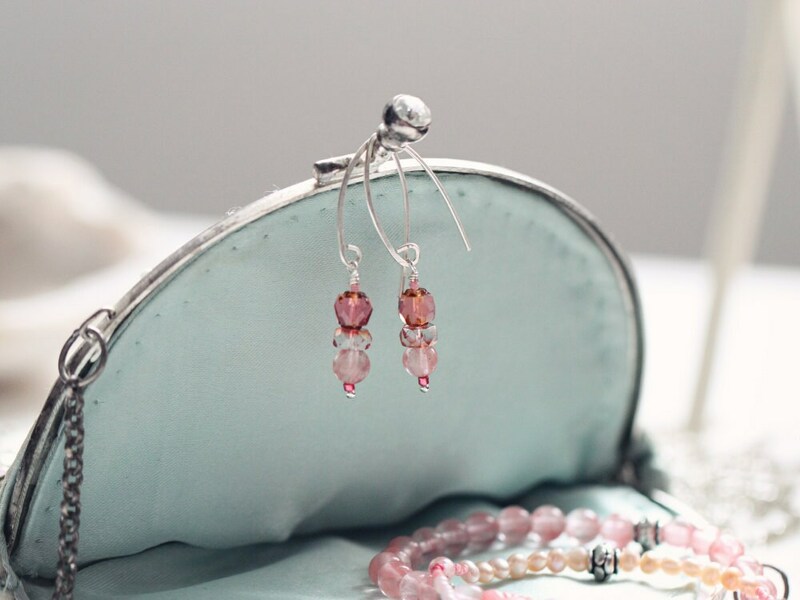 Pretty and feminine, with stylish Sterling Silver ear hooks, you'll find these elegant earrings are light weight and easy to wear. The refreshing shades of coral, peach and pink are perfect for bringing flattering colour to lighten and brighten any outfit. 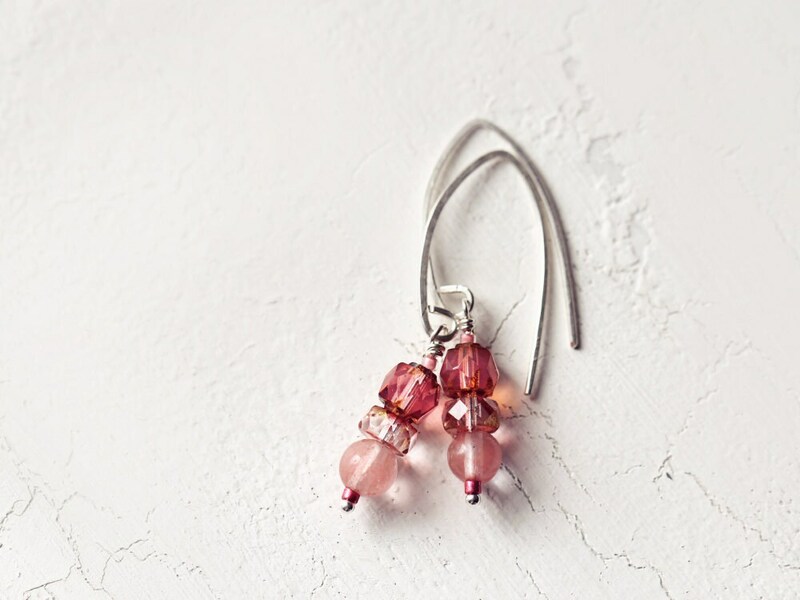 They have a lovely sparkle and luminosity, meaning that you can wear them with your everyday outfits - anything from jeans and a pheasant top when shopping with the girls - to a cocktail or maxi dress for special occasions or a romantic night out. 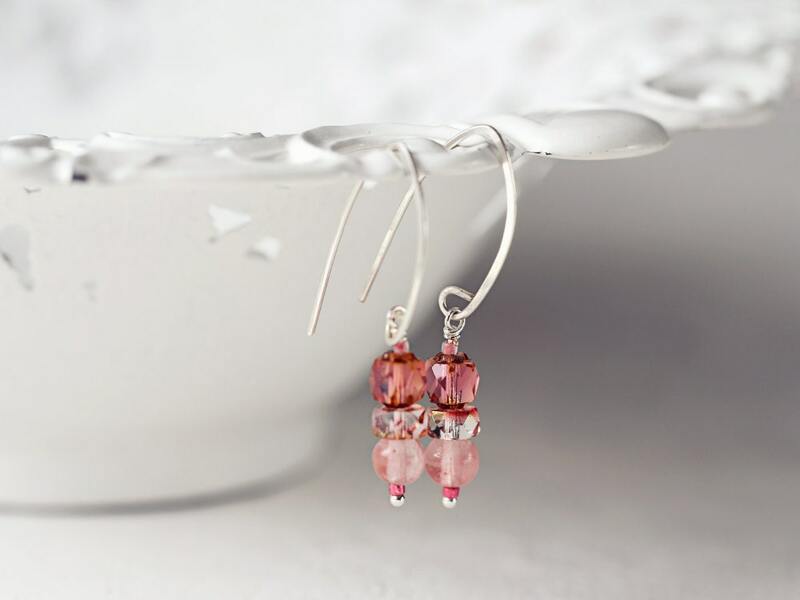 Simple, elegant and dainty - guaranteed to bring a feminine touch! 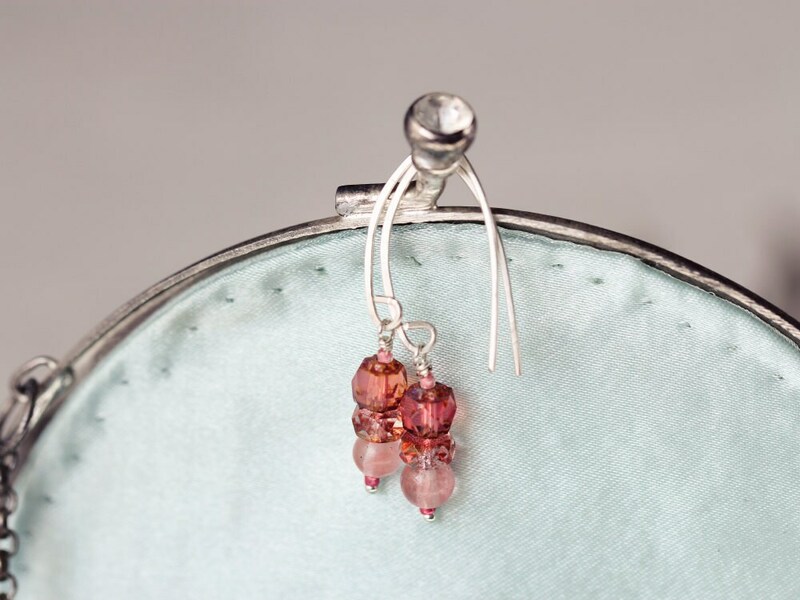 * Total length from top of ear hook approx 43mm.